Sour Sorbet by DNA Genetics is a feminized cannabis seed that has its origins in a very special cross: a Sour Diesel and a Sorbet. The result is a genuine cannabis variety, considered as a true stimulus for the senses and that will undoubtedly give a lot to talk about. Sour Sorbet is one of those marijuana plants that you can enjoy cultivating. Its size is medium / large and has the appearance of Christmas fir, and although its period of flowering can be extended a little, the reward will be an abundant harvest of thick, dense and sticky buds. We are before a firm candidate to be one of the favorites of lovers of concentrates and hashish with that bittersweet touch, typical of Sour Sorbet. 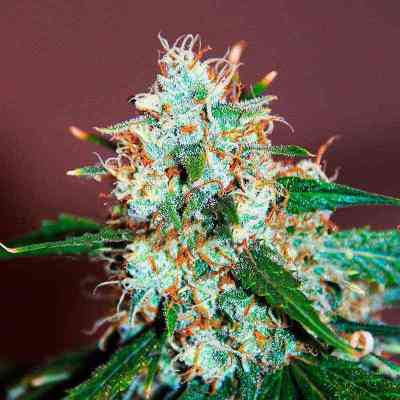 Its aroma evokes a delicious and creamy sorbet, its flavor is indisputable to Sour Diesel. All the above, together with a balanced, relaxing and happy effect at the same time, make this cannabis variety a magical elixir that no artist should miss.